It’s recipe sharing time! Inspired by my upcoming wedding, I’ve made a conscious effort to eat healthier. Not to mention, I just feel better when I do. I found these two really great recipes while perusing other blogs. All credit for these go to TwoPeas & TheirPod. I loved the fresh ingredients and simplicity of the recipes. 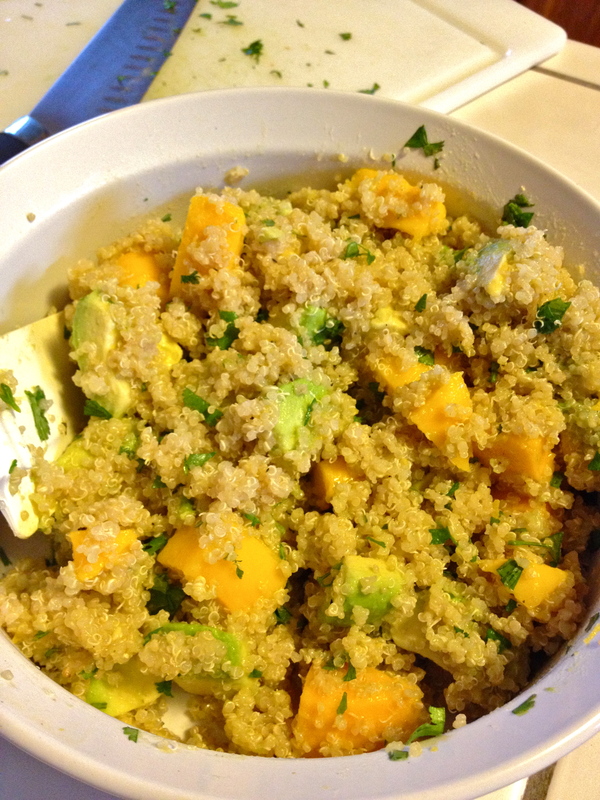 I first found their quinoa salad with mango and avocados. 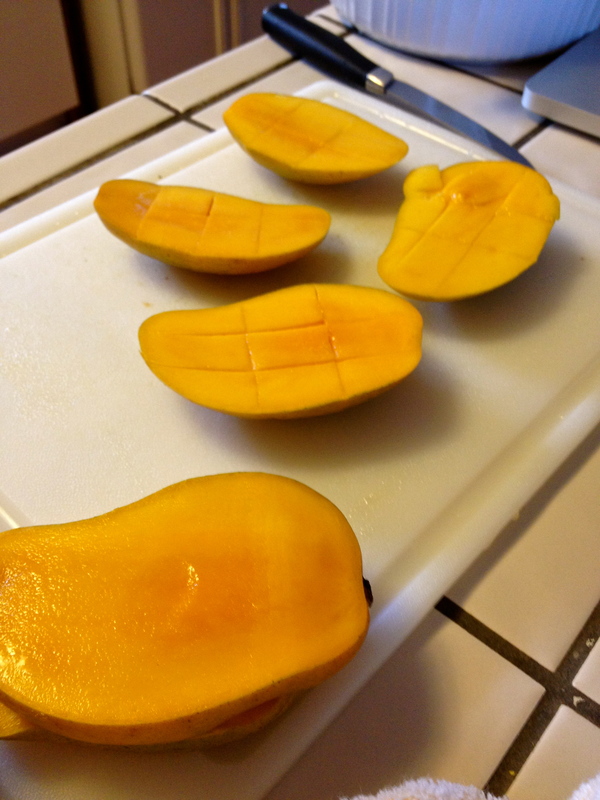 They had me at “mango”. The recipe is actually titled “Black Quinoa with Mango, Avocado, and Tomatoes,” (find the recipe here) but I had no tomatoes and only regular quinoa. But I made do, and this salad turned out to be one of the most bright and fresh sides I’ve ever had. 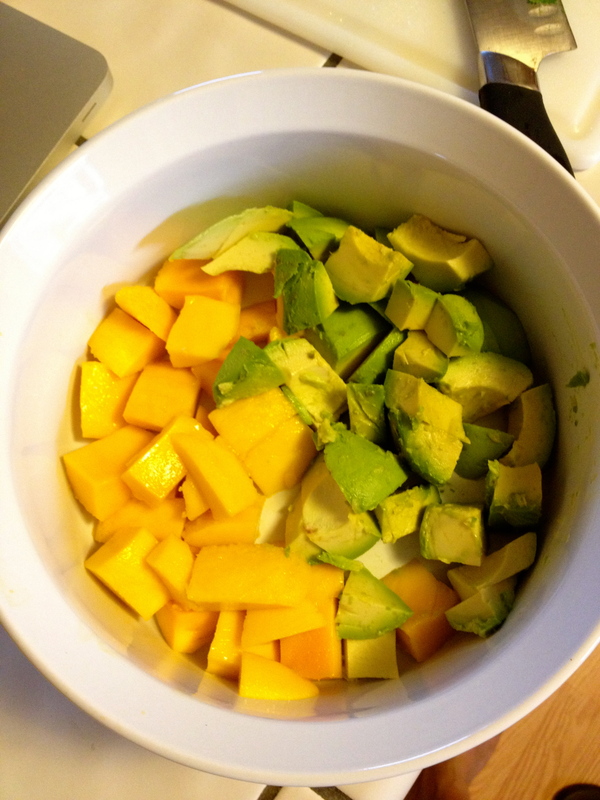 The lime juice, mango, and avocado all combined in one dish just makes you feel like you’re on vacation! I followed the recipe to a T, minus the tomatoes and green onions. Simply because I didn’t have them at the time. This will definitely be a Summer staple at our house. 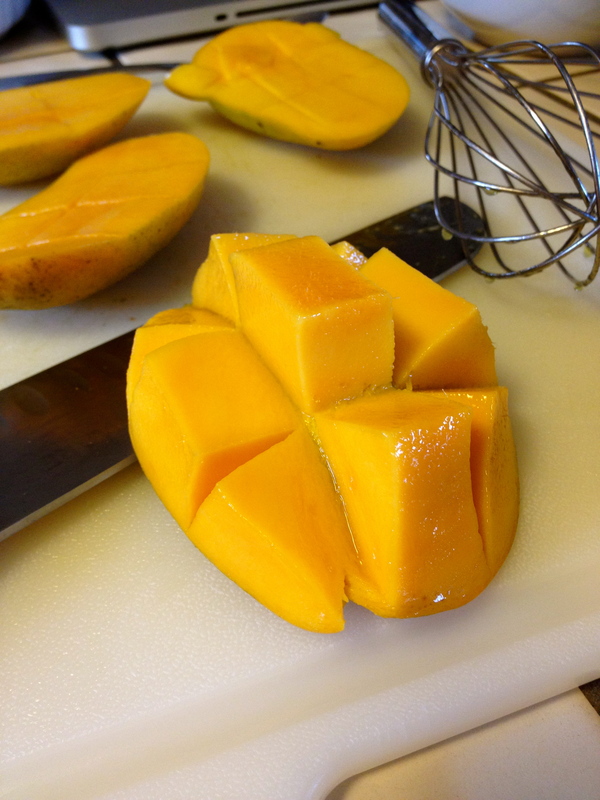 Mangoes. Cutting the pulp away from the bone. 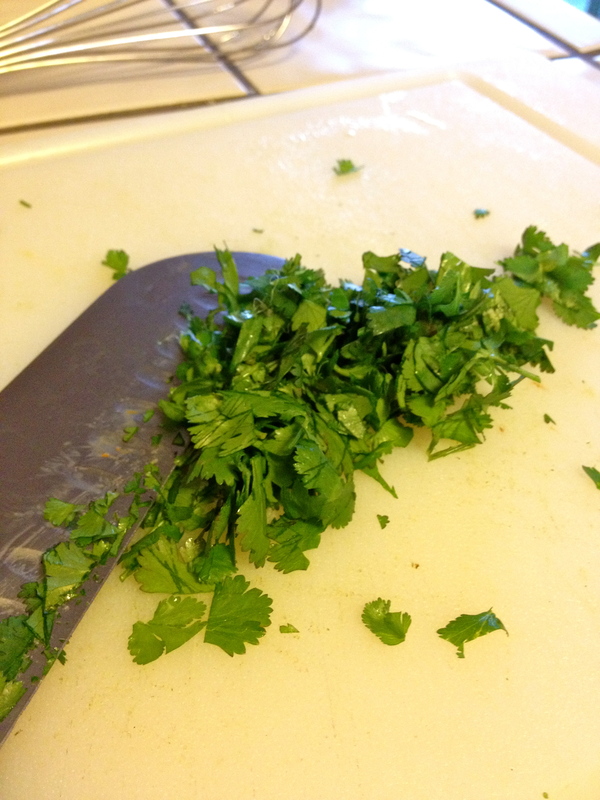 Using fresh cilantro from our herb garden! Now that I found a stellar side dish, I needed an equally great main dish. As this blog had yet to steer me wrong, I went in search for an entree. 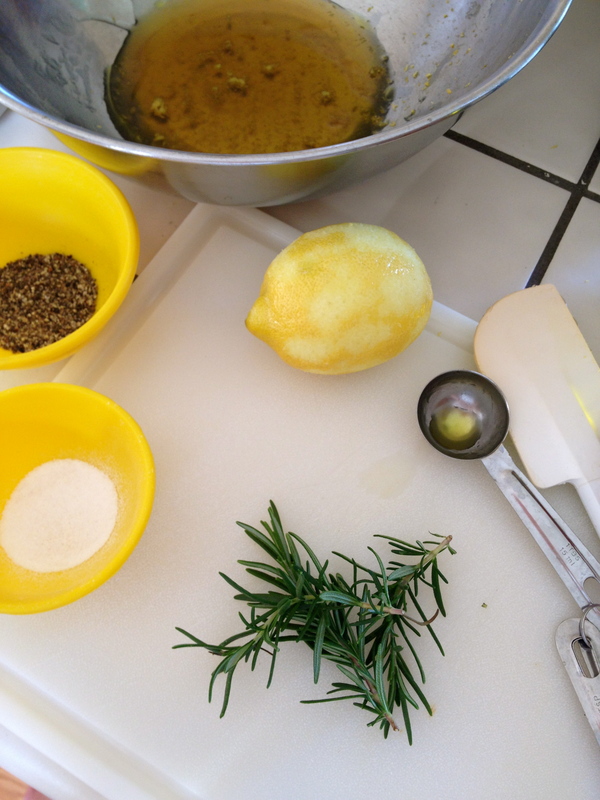 I decided on their “Honey, Lemon & Rosemary Grilled Chicken” (recipe found here). It was a beautiful day and using our BBQ seemed like the appropriate thing to do. 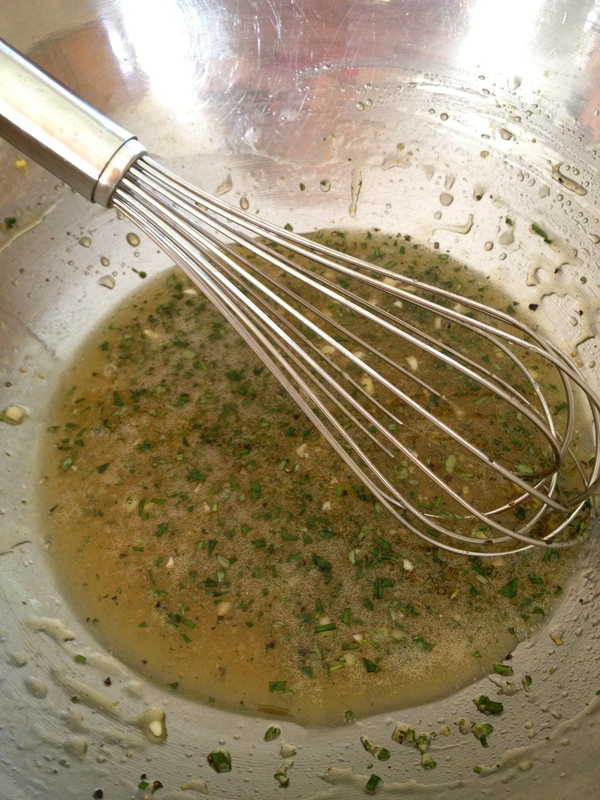 An added bonus of this recipe was that I got to use another herb from our herb garden! Followed this recipe close to exact, only adding a pinch more garlic than suggested. 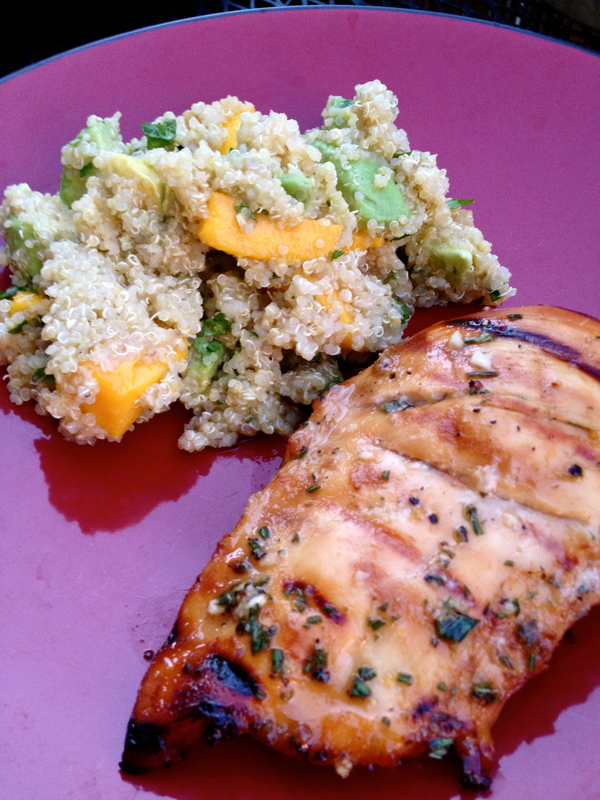 Using chicken breasts, I let the meat marinate for 30 minutes before grilling. And eventually, dinner was served. 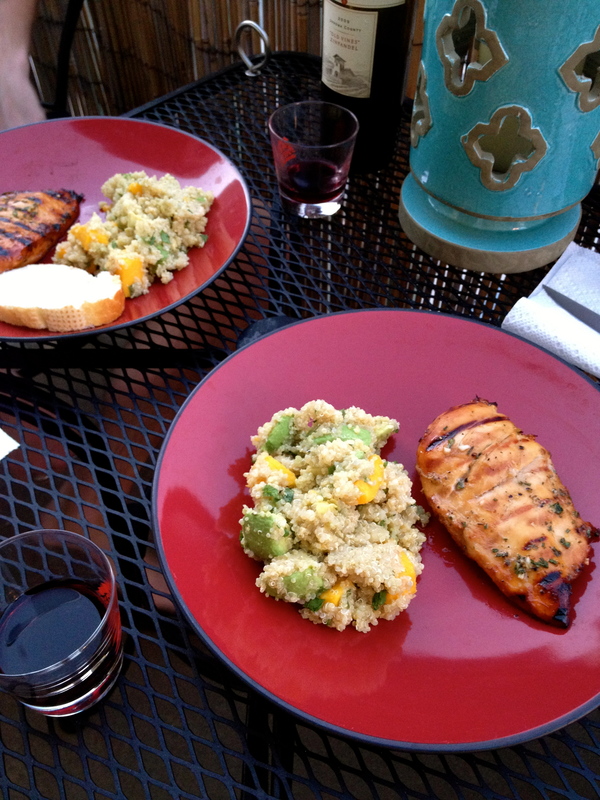 Add a little wine and you have patio dining at its best. Can’t wait to try more recipes from this blog!